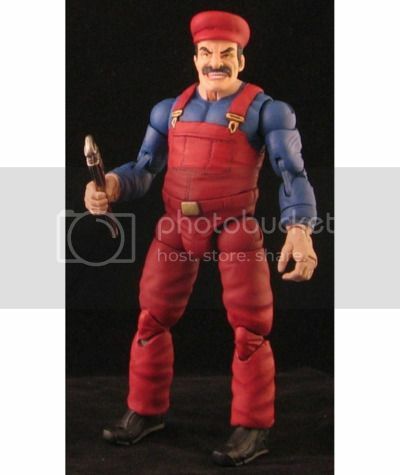 So, I was totally going to craft a joke for this custom Mario figure, which went for $152.50 on Ebay as a part of a custom Donkey Kong toy set, but I was preempted by the creator’s description. Donkey Kong is at it again! He infiltrated Mario’s pad and nabbed Pauline while she and her plumber where sleeping. Needless to say Mario is pissed, he has had enough of Donkey’s monkeying around. Mario grabbed his monkey wrench and is on his way to torque some fuzzy nuts! Via Custom Action Figures, who is constantly preempted by fuzzy nuts. GO Mario! Take down that Donkey Kong.